Being a first-time parent can be terrifying. From the minute you discover you’re pregnant, to the minute you take your little bundle of joy home, fear has a tendency to creep in and fill your head with doubt. It’s a massive responsibility taking care of such a fragile little human. As a parent you have an overwhelming urge to protect them as you see for the first time just how scary the world can be. With every milestone comes a fresh wave of worry. So how can you stop this and just enjoy being a new parent? The truth is, you can’t. Part of being a new parent is worrying about what could happen. It’s completely natural and all part and parcel of being a parent. No matter how prepared you think you are, once you get home with your baby, life suddenly becomes very hectic. Without a proper routine in place, you’ll quickly become overwhelmed. Set up a routine for feeding, bedtime, nap times and story times. Having a schedule in place will really help you to feel like you know exactly what you’re doing. It also eliminates a lot of potential problems such as getting your little one to sleep each night. If they have a routine right from the beginning, it minimizes the chance they’ll make a fuss later on. Now, it’s worth keeping in mind that even the best schedules won’t work 100% of the time. Your little one isn’t always going to be so compliant so expect a few bad days along the way. One of the biggest mistakes many first-time parents make is thinking their life will just carry on exactly as it did before their little miracle arrived. It could be you think you’ve already got the perfect routine that a baby would slot right into. Unfortunately, the thing about babies is that no matter how many parenting books you read, you can never be 100% prepared. They change your life in many ways. Even daily tasks you don’t even think about become a huge challenge when your little one arrives. Going to the bathroom, going out, having a shower – things you take for granted are set to become much harder. Accept the fact that your life will change, otherwise you’re going to be in for a very stressful time! One thing you don’t give much thought to during your pregnancy is breastfeeding. After all, it’s a natural process, so it shouldn’t pose a problem right? Wrong! There are so many common problems you can face when trying to breastfeed your little one. They may find it difficult latching on, it’s often painful, you may produce too much milk or not enough and you could even develop thrush from your baby. It’s worth being aware of the different problems that can occur so it doesn’t come as too much of a shock if they do. Never be afraid to seek help. Having problems with breastfeeding is extremely common and does not have any relevance to your parenting skills. 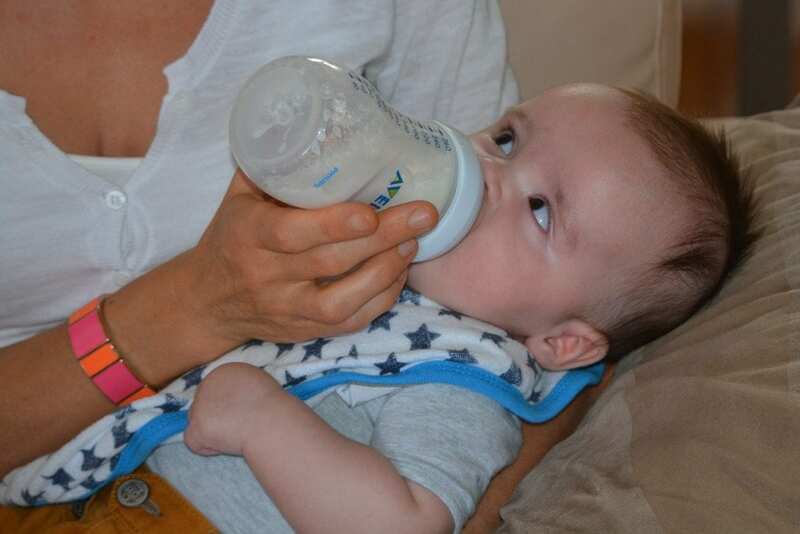 Some first-time parents worry about their little one getting dehydrated. However, up until the age of six months, breast milk and formula both contain enough fluids to meet your baby’s needs. Typically, newborns require a feed every 3-4 hours, but don’t be surprised if your little one wants a feed every 2 hours. If you breastfeed, your baby will usually want to feed more frequently because breast milk is a lot easier for them to digest than formula. The minute your baby arrives, your main priority is making sure they are healthy, happy and safe. However, what you need to realize is that your health and well-being are just as important to your little one. If you’re stressed, unhappy and struggling to cope, it’s going to impact your baby. Therefore, it’s vital you take some time for yourself. Whether it’s just 10 minutes a day, doing something that relaxes the mind and helps you to unwind will have awesome benefits of your well-being. There’s a tendency for first-time parents to think they have to do everything themselves. They want to show the world, or at least their friends and family, that they have everything under control. The thing is, parenting is hard. You’re not super woman and you don’t have anything to prove. Accepting help from loved ones doesn’t make you a bad parent – it makes you a smart one! So start accepting those babysitting offers and don’t be afraid to ask for help when you need it. You’d think having a baby would bring you and your partner closer together. However, the added stress can drive a huge wedge into your relationship. It’s common for first-time parents to neglect their relationship while they focus solely on the baby. Don’t feel guilty for spending time with your partner and getting a babysitter in every once in a while. It will do wonders for your relationship, relieving a lot of stress and ultimately making the home a much happier place for your little one. Parenting is all about compromise. There are going to be a lot of things you can’t get done in one day. Don’t let dirty dishes, a pile of dirty laundry and a messy room become a big issue. Some days are going to be harder than others. If you start stressing about the small stuff, you’re going to constantly be miserable. The main thing is that your little one is happy and healthy. If you’re spending all of your time stressing out over small daily chores, you’re going to miss out on the joy of parenting in the first few years of your child’s life. They really do grow up fast so forget about the dishes – enjoy your little one while they’re at this wonderful age. When putting your little one down for a nap, try to avoid being over-quiet. Logically, you’d think the less noise you make, the easier it will be for your little one to sleep. However, noise, particularly white noise, is extremely beneficial to encourage babies to sleep. This is because when they were in the womb, it was actually pretty loud. So, they’re used to falling asleep to loud noise. The sudden quiet once they arrive into the world can actually be quite distressing. Loud ticking clocks can remind baby of your heartbeat, helping to soothe them enough to drift off to sleep. Some parents even swear by placing their baby near a running washing machine or tumble dryer to help them drift off. When you have a baby, it seems like the whole world wants to give you advice. Even complete strangers will start coming up to you with words of wisdom. As well-meaning as this advice can be, it can soon start to get very irritating! The best way to handle unwanted advice is to smile, thank the person and then get on with your day. You don’t have to take the advice and you definitely shouldn’t allow anyone else to make you feel like a bad parent. This is your parenting experience and you can do it any way you like. Ok, so you might not have the time anyway! However, a lot of first-time parents instantly become worried about their children catching all kinds of illnesses. So, to prevent it they over-clean. Everything gets sterilized and mess is kept to an absolutely minimum. Not only is this extremely stressful, but it’s also not as good for your child as you think it is. Without some bacteria, your little one’s immune system isn’t going to toughen up. Therefore, they’ll actually end up getting ill more frequently if they aren’t exposed to any germs at all. Obviously that doesn’t mean you should have as many germs as possible in the home, but a little mess isn’t going to kill them! Similar to the tip above, you’re going to need to squash the urge to protect your children against every little thing. As hard as it is, they need to learn things themselves. Let them be a child and climb over things, fall over every now and again and jump off things. Obviously assess the danger level, but if there’s no immediate threat of serious injury, just let them be. It’s one of the hardest lessons parents learn, but it’s important not to be over-protective. Thanks to social media, it can often feel like parenting is a competition. You’re constantly bombarded with photos and soppy posts about how well and happy your friend’s children are. In comparison, it can make you feel like a terrible parent. What you need to remember is people largely only post their highlights on social media sites. They don’t admit to the bad days, or the times they broke down crying because they couldn’t find matching socks! Parenthood isn’t a competition. Forget about what everyone else is doing and focus on your own unique first-time parent journey. This random tip is actually going to save you a lot of hassle! As many parents have figured out the hard way, pineapple juice has a nasty effect on a toddler’s digestive system. Learn from previous mistakes, avoid it and be thankful you don’t have to deal with the unpleasant after effects. This is a tip you may have already been given. 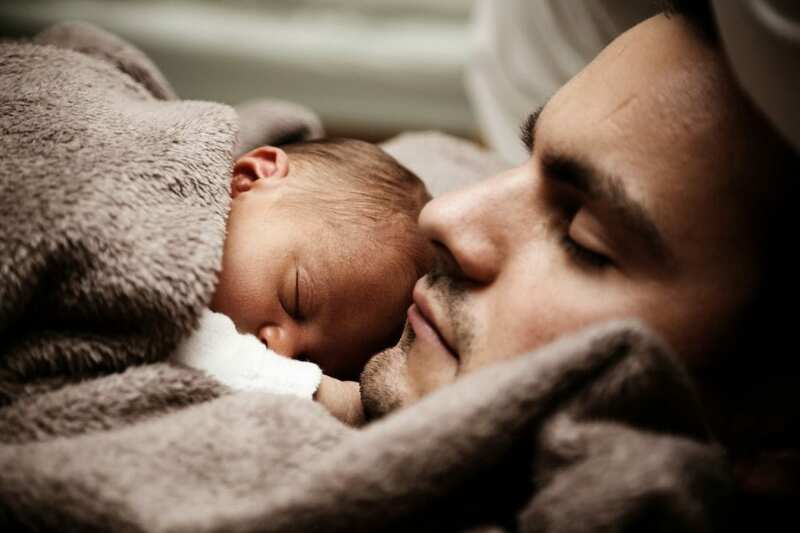 Sleep is one of the most precious things in the world to new parents. There are some days you’ll feel like you’re literally going insane. Sleep deprivation isn’t funny and it can have serious effects on your well-being. It may seem like a great time to get chores done while your baby is sleeping but trust me, those chores can wait. Get yourself a little sleep and you’ll be amazed by how much difference it will make. Nappy changing is always going to be unpleasant, but it can be made a lot less stressful with a few basic tips. One of the best things you can do is use warm baby wipes. Babies hate the cold so if you’re wiping them with a cold wipe, it’s more likely going to trigger a full-on crying tantrum. Warm wipes are also a life-saver for particularly sensitive babies. Trying to soothe your crying baby? Deep lunges could be the answer! While holding baby in your arms, do a few deep knee lunges. The movement really helps to gently soothe your little one and on the plus side you’ll end up getting your legs back in shape! On the topic of exercise, there’s a lot of pressure put onto women these days to get back in shape quickly after giving birth. If you’re stressing about getting your pre-baby body back, just relax! It can really ruin your parenting experience as the truth is, you’re not going to be able to lose the excess weight quickly. It will happen naturally over time. Focus instead on enjoying these precious early years with your child. You can always get your pre-baby body back later, but you can’t get back the early years of your little one’s life! Dads get a pretty raw deal when baby arrives. They’re often criticized for not doing enough, when the truth is they’re actually scared to get involved. New mothers can be a forced to be reckoned with! Remember, he’s new to this too. If he does try to help, don’t criticize him or lose your patience. He’s doing his best and you’re in this together. When the world suddenly starts to revolve around just you and your baby, it can quickly turn you into a recluse. While obviously your little one is your main focus, it’s important to stay connected to the rest of the world. Meet up with friends and if none of your friends have babies of their own, join a mother and baby group. Getting out and socializing does wonders for your well-being. As you can see, there are a lot of tips that can really help if you’re a first-time parent. The 20 tips above are just scratching the surface. The one thing to remember is that you aren’t alone. All first-time parents struggle and there are times you’re going to feel like a failure. It’s all part and parcel of being a parent. You’re not going to be amazing at it because you’re not super woman. Embrace your mistakes and accept as much help as you can. Most of all – enjoy it and breathe! It might not seem like it now, but one day you’ll look back on these early years and miss them! I love this. A lot of first time parents face challenges as soon as babies start coming. It sometimes bridge the communication gap between both partners. 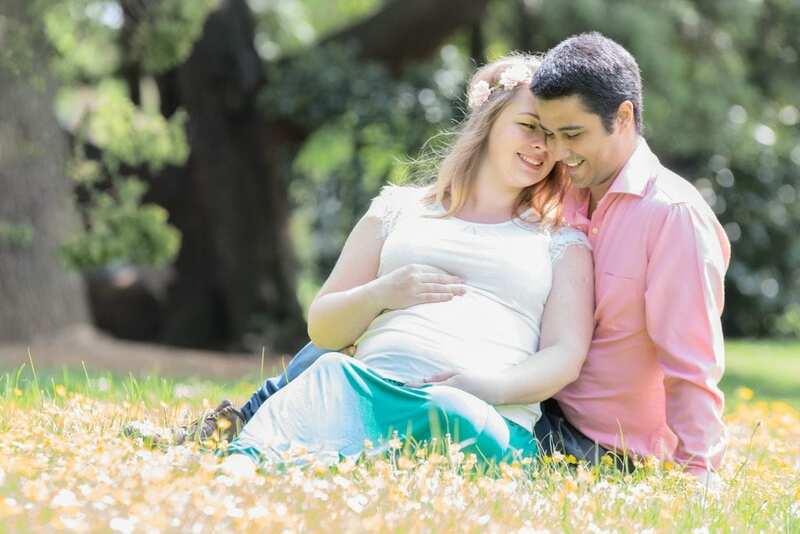 These are great tips for singles and first time parents. These tips would serve as added knowledge to everyone. Thank you, Dparagon. Parenting is a tough job especially for first time parents. This is one of the reasons why we do our best to come up with really helpful articles. Babies didn’t come into this world with a handbook so a helpful advice or tip here and there can help alleviate child-rearing worries and problems. This is such an amazing article that will or should read by every expectant parents. This tips are very essential. Parenthood is a partnership role. It’s not individually by a teamwork of both parents not only for a healthy baby but establishing a good relationship of partners. There is no amount of appreciation that I would show towards this article that could ever be enough to compare with its significance to both first time parents, those who have been in it already and the prospective parents like myself in no distant time. This information provided here is surely going to be priceless in future use. Being a parent changes everything in one’s life, I know that one for sure. One shouldn’t expect to live his or her life the exact way it used to be when one was still single. Being into a family diversify everything and with the baby coming as well follows in dictating a new trend of how things are to be done from then henceforth. I wish I had read this article 10 months ago, it would have been easier to understand things that troubled us. Thankfully, we had experienced parents on our sides (our parents, siblings who had children, relatives etc.). Whe ever I encountered any problems or did not know what to do I always reached out to my sister or mother. Parenting is a self-learning process. You know parenting only when you become a parent.